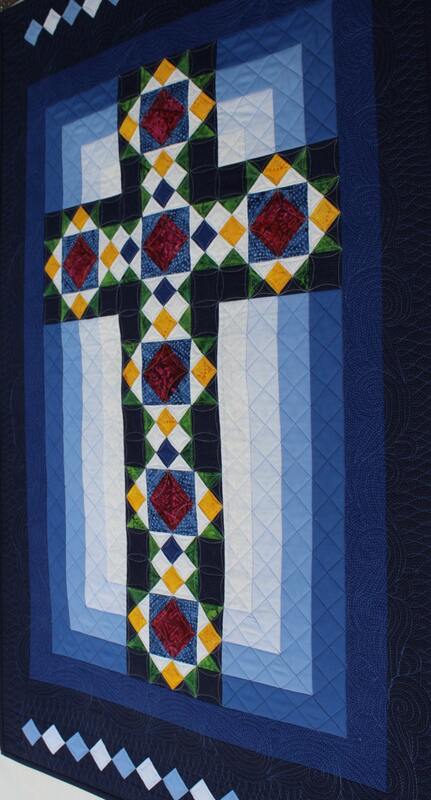 This pattern is the Queen size adaptation of my wall hanging size Cross in Window quilt. 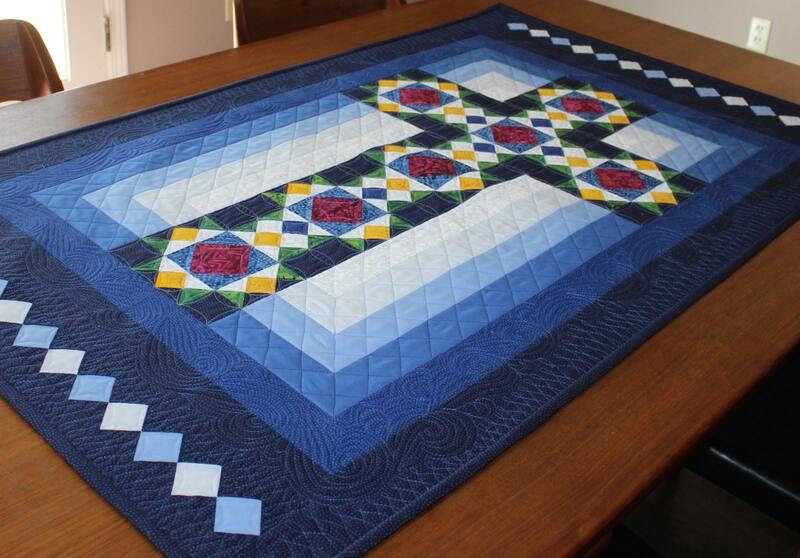 I used shades of blue prints and gorgeous batiks to give the quilt stained glass window effect. 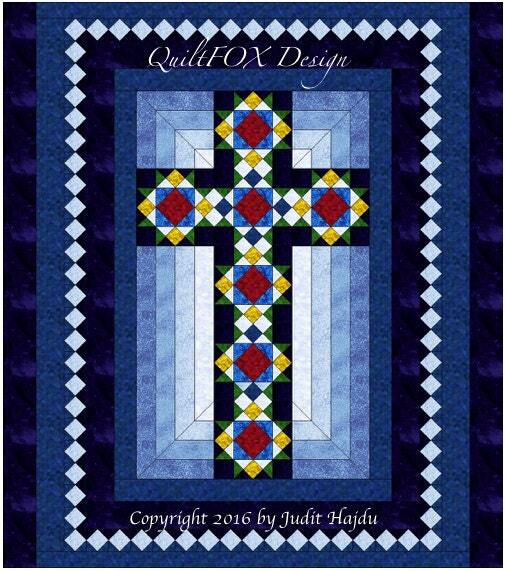 The pattern guides you through the whole process of making this exceptionally beautiful quilt for your Home or for your Church. It is demonstrated with lot of images and easy to follow. It is also easy to enlarge it to King size with a wider border or reduce it to full or twin size.